Strolling among green giants gives us balance and perspective. That calming quiet we find in forests is one reason we seek out natural areas for restoration and renewal. For those with an affinity for forests, it may come as no surprise that these natural hallows possess the ability to strengthen and heal us. Renowned landscape architect Frederick Law Olmsted believed that people need contact with nature to lead a healthy, balanced life. Now, researchers and experts around the world are backing up these notions with facts. Forests have much to offer in maintaining good health as well as recovery and relief for the unwell. Green tracts have been shown to reduce stress, lower blood pressure, strengthen immune systems, and help those struggling with conditions such as attention deficit/hyperactivity disorder (ADHD). “Forests provide enormous possibilities to improve human health conditions,” wrote researcher Eeva Karjalainen of the Finnish Forest Research Institute in a 2010 scientific review. 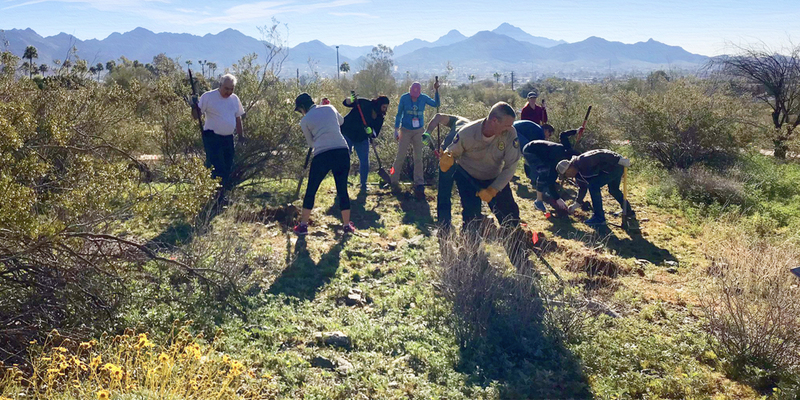 The Centers for Disease Control and Prevention promote National Trails Day in part because “the presence of natural settings can have soothing and healthful effects. Some people will feel better and heal faster when they are exposed to landscapes that have a natural character.” It’s no wonder, then, that many rehabilitation and retreat centers border forests and natural lands. To dig deeper into these healthful possibilities, American Forests looks at some of the science that links forests and well-being. 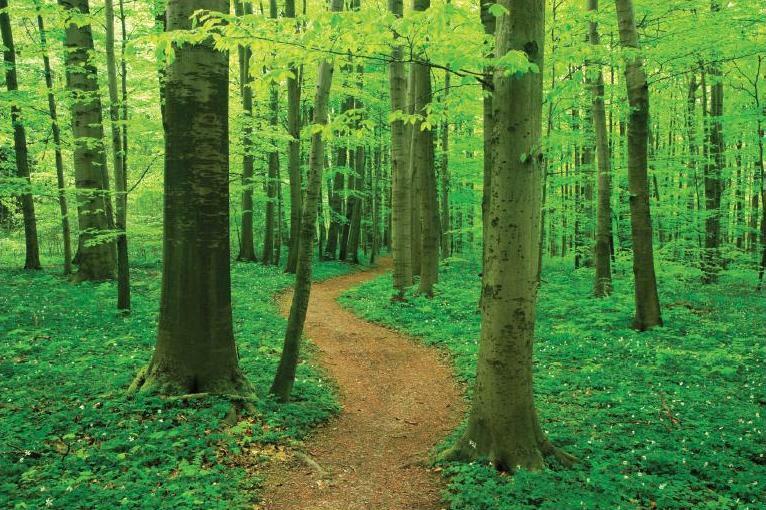 Moving around a forest requires us to walk, run, climb, bike, or otherwise propel ourselves. “People in forests are more likely to be standing than sitting and tend to walk more than they would normally walk, and in ways that expend more energy, as opposed to walking on a sidewalk or floor,” says Geoffrey Godbey, professor emeritus of the Department of Recreation, Park, and Tourism Management at Penn State University, who has studied and written on the health benefits of forests and parks. Spending time in a forest also means people are not doing what they would normally do. Many of us spend our days indoors, working at sedentary jobs. When we get home, some of us just want to relax. “Generally, people who are outside expend more calories than people who are inside,” says Godbey, who through the years has planted some 70 trees on his two-acre property near State College, Pennsylvania. Forests offer endless opportunities to stretch, move, and train our muscles and other bodily systems, all of which help us fight disease, prevent injuries, and maintain a healthy lifestyle. 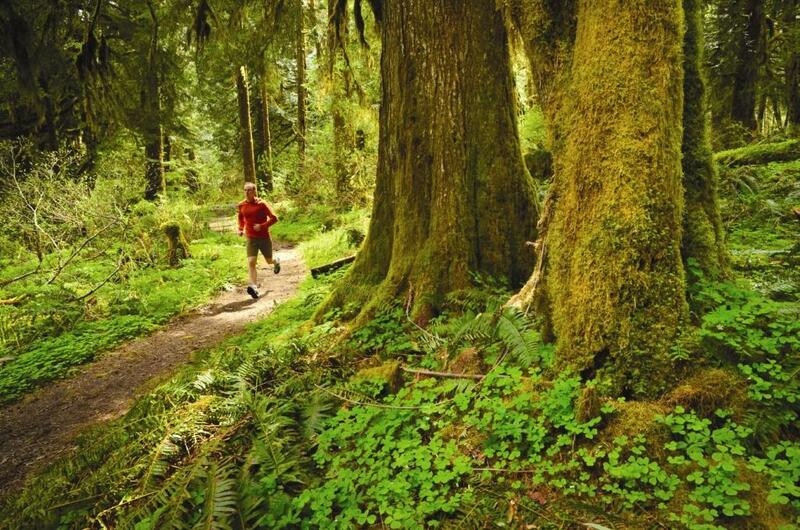 “But forests offer more than just the potential for exercise,” says Linda Kruger, a research social scientist at the U.S. Forest Service’s Pacific Northwest Research Station in Juneau, Alaska. Researchers around the world have found that natural areas offer a unique setting that can lighten our mood, improve our physical wellness, boost our ability to fight disease, and refresh our harried minds. It’s widely known that stress leaves us more vulnerable to illness. High stress factors into heart attacks, illnesses, and, some people believe, cancer. “You get a cold when you inhale a virus, but your ability to fight off the virus is minimized by high stress levels, and your auto-immune systemdoesn’t work as well,” says Godbey. Strolling through — or even gazing at — forests can lower stress levels, says Godbey, who points to a 1984 study conducted by Roger Ulrich at Texas A&M University. Ulrich observed patients recovering from gallbladder surgery. One group’s hospitalroom windows looked out onto a brick wall; another group’s had a natural, green vista. The patients who were able to view nature recovered faster and had fewer complications than the patients who had a view of a building. Similarly, a 2007 study published in the Scandinavian Journal of Forest Research compared job satisfaction and job stress for 931 Seoul office workers, about half with window views of trees and half without. Those workers with views of trees reported significantly less job stress and significantly more job satisfaction, no matter their age, gender, or job category. [in] individuals’ self-report but also [in] measures of pulse rate, blood pressure, and stress-related patterns of nervous system and endocrine system anxiety, as well as physician-diagnosed anxiety disorders,” wrote Frances Kuo, director of the Landscape and Human Health Laboratory at the University of Illinois at Urbana-Champaign, in a research report for the National Association of Parks and Recreation. One study by Kuo even showed that greenery has enough of a calming effect to reduce crime. At one Chicago public housing development, there were significantly fewer crime incidents in and around buildings surrounded by trees and greenery than in a nearby identical building surrounded by barren land. “According to our questionnaire, a majority of the visitors felt that the trail enhanced their restorative experience and improved their mood,” says Tytti Sarjala, senior researcher at the institute. In Japan, researchers are finding strongmedical connections between being in a forest and having a healthy immune system. In one Japanese tradition — shinrinyoku, or forest bathing — individuals spend time in a forest to relieve stress and strengthen their immune system. According to Yoshifumi Miyazaki, a professor at the Center for Environment, Health, and Field Sciences at Chiba National University in Japan, forest bathing has “preventive medical effects” such as relieving stress and recovering an immune system that has declined due to stress. He adds, “Artificialization is taking place at such a rapid rate that we now find ourselves in stressful situations in our daily lives and are forced to deal with the resultant pressure.” Proponents of forest bathing assert that a short trip to a forest offers relaxation as well as natural aromatherapy in the form of antimicrobial organic compounds derived from trees: woodessential oils called phytoncides. In 2009, Qing Li from Nippon Medical School in Tokyo published a paper highlighting a series of studies that followed groups who took a threeday/ two-night trip to forested areas. Researchers took blood and urine samples at various intervals. 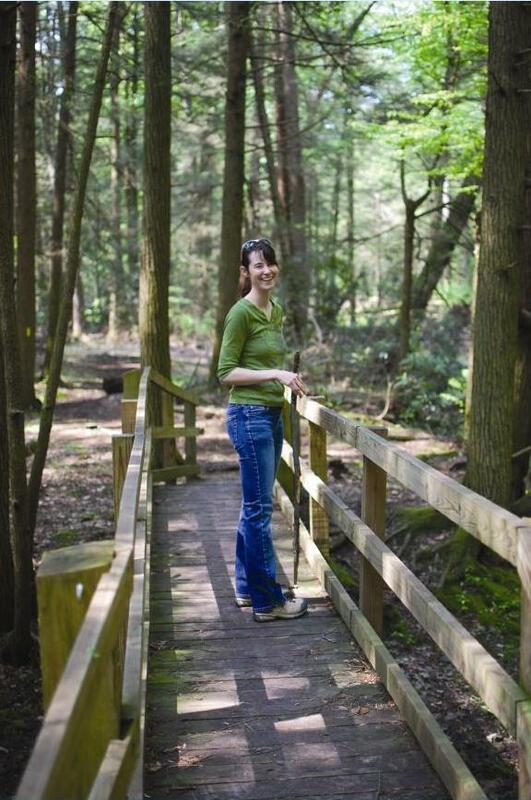 Li found that an individual’s levels of natural killer cells — a type of white blood cell that releases anticancer proteins to attack tumors and cells infected by viruses — were significantly higher on the forest bathing days. Moreover, natural killer-cell levels stayed elevated for 30 days after the trip. In addition, Li found that levels of urine adrenaline, which the body releases in response to anxiety, had dropped after forest bathing trips — a sign that forests lower stress. Li’s findings suggest a monthly “forest bathing trip” would help people maintain a higher level of natural killer-cell activity. “Forest bathing trips have become a popular and recognized relaxation and stress management activity in Japan,” says Li. Though the forests in Li’s research held Japanese cypress, Japanese cedar, and Japanese beech, he said that other types of forests should have similar effects, though researchers haven’t yet studied other tree species’ phytoncides. In a similar 2005 study in Japan, Miyazaki and colleagues conducted week-long studies in 44 different forest sites throughout Japan. In one study, groups took a seat in the forest to absorb natural surroundings, while an urban-based control group viewed city life. Researchers found the forest group to have decreases in cortisol (stress hormone) levels, sympathetic nervous activity, blood pressure, and heart rate; parasympathetic nervous activity was enhanced by 55 percent, indicating a relaxed biological system. “This proves that stressful states can be relieved by forest therapy,” Miyazaki says. “Just being around living green things has an effect mentally and emotionally,” says Linda Kruger, who takes advantage of the numerous trails near Juneau. Carrie Madren writes from Olney, Maryland, and can be reached at camadren@gmail.com. Read about our work planting trees for healing and nurturing in a Boston community.